On Monday, December 5th, 2016, we went in for our 20 week ultrasound. The excitement had been building for weeks to find out if baby was a boy or girl. The ultrasound seemed to go completely normal and that is when our ultrasound tech told us we would be having a beautiful baby girl! The ultrasound was followed by a visit with the doctor to review the 20 week anatomy scan. She came in the room and sat down and began to tell us that the lower left chamber of the heart appeared to be severely underdeveloped. She referred us to a Perinatal specialist who could better look at the heart and confirm what they were seeing was correct. Luckily, we were able to see the specialist the next day. The next day we went to the specialist with high hopes that it was a miss and that maybe Brenley’s heart would be whole. As the ultrasound technician searched and searched for the chambers of the heart we could tell there was a problem. After the anatomy scan was completed the doctor came in the room to inform us that they still could not find a fully formed lower left heart chamber. She then diagnosed Brenley with Hypoplastic Left Heart Syndrome w/ Mitral Stenosis/Aortic Atresia. This is a condition in which her lower left chamber of her heart did not fully form, therefore it will not be able to function after birth. This part of the heart is the part that pumps oxygen rich blood to the rest of the body. There is no complete fix for this type of heart defect. She then made us aware that this condition is fatal without a series of 3 open-heart surgeries. 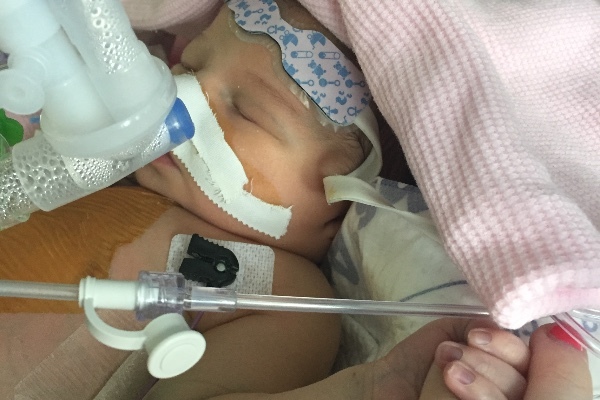 When Brenley is born, she will need to undergo her first open heart surgery within the first week of life. This surgery is called the Norwood procedure. 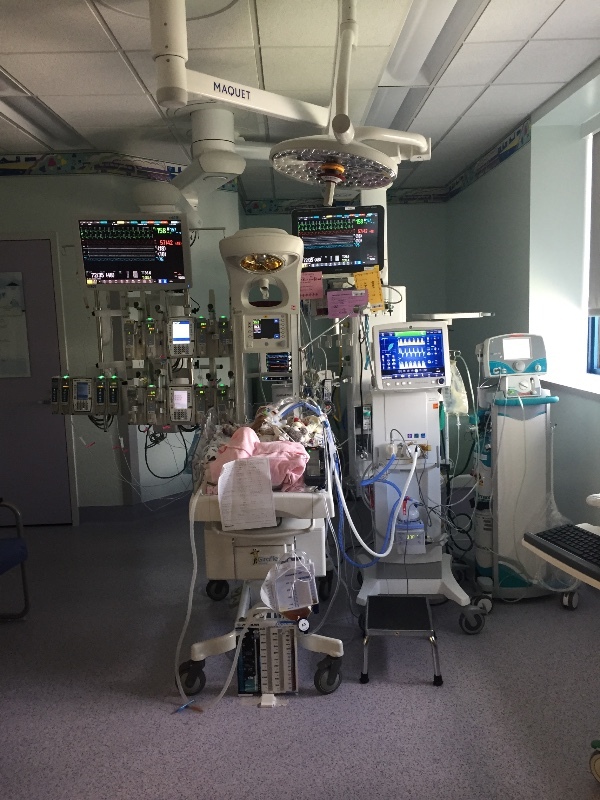 She will then need a second open heart surgery at anywhere from 3-6 months old called the Glenn, followed by a third called the Fontan sometime before she is five years old. We will need to travel for delivery so that the pediatric cardiologist and surgeon team for Brenley will be available and ready to go. We will also need to travel to be there for her three surgeries and be able to stay with her as she recovers. Following her first surgery in her first week of life they estimate about 1 month recovery. Her second surgery will be at anywhere from 3-6 months old and is estimated at about 10 days recovery. In between the first two surgeries we will need to stay by her side as she will be constantly monitored and under close care. We also know these times will be some of the most crucial of her life. There is a long road ahead for baby Brenley and our family. Anything donated will be directly used towards Brenley’s medical costs. We know many will not be able to give, and that’s okay, do not feel obligated. Your prayers and love are going to get us through this journey as well. We appreciate your love and support more than words can say. After visiting both hospitals and really thinking and weighing our options over the past month and a half we have decided to move forward with Brenley's care in Fort Worth. Each hospital had its pros and cons but we can't seem to shake the feeling that Fort Worth is where we are supposed to be. It has been the one constant we have both felt this entire time. Our biggest fear in all this is "making the wrong decision" - But, the biggest thing that we took from all of this is that ultimately God is in control and regardless of what we "choose", his plan for Brenley's life will remain. From what we have learned all of these kids handle the surgeries different. There are kids doing great post surgery and kids not doing so great at both hospitals. Some kids that are doing great had the exact same surgeons and care as the ones who are not doing great. We are choosing to be confident in our decision and trust that the Lord is ultimately in control. We also feel extremely confident in the cardiologist and surgeon in Fort Worth. So, we will be temporarily relocating to Fort Worth late march. I will deliver mid April, fingers crossed I make it to 39 weeks so her heart is as big as possible for the doctors. She will be set to have her first surgery 3-5 days after delivery and from there we will pray for her strength until the next surgery predicted to be at 4 months old. If all goes smoothly we will be in Fort Worth for about 5-6 months. There will be lots of time spent with her in the hospital so we look forward to seeing some of your faces if you get a chance to stop by and visit! We cannot wait to meet her! She already has such a little personality. At three of our past ultrasounds she has had her feet up at her head holding them with her hands not to mention she is kicking mom like crazy! She is completely fine until she comes into the world and her blood circulation changes. That is when she will start having trouble. 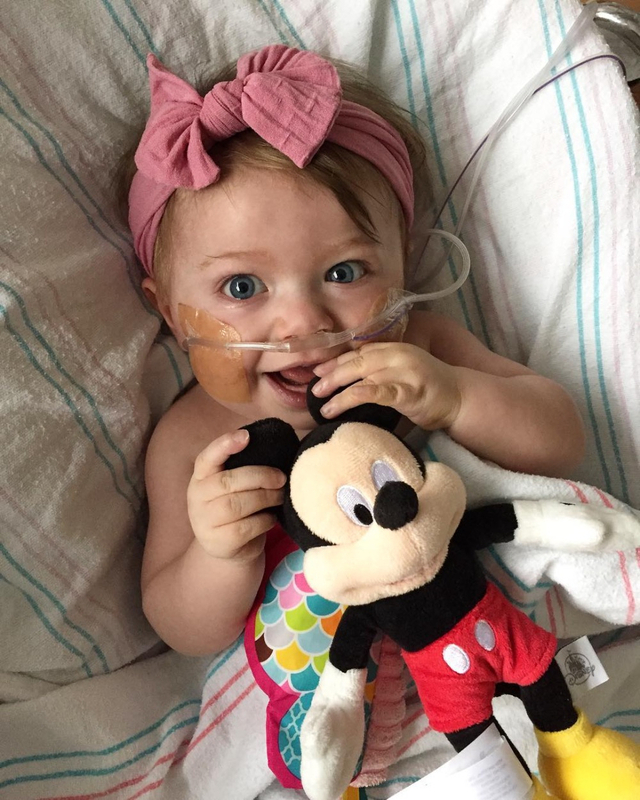 The doctors will intervene with a medicine to keep her heart going until her first surgery. 1 out of every 4344 babies are born with HLHS - Approximately 960 per year in the United States. There is no know cause for HLHS although they do believe it may be genetic but there is not enough research. This diagnosis is completely fatal without surgical intervention. 1 in 100 kids are born with congenital heart disease - the number one cause of infant death is due to heart defects. Praying for this sweet baby and family. Trusting God for complete healing. In memory of Bobby Parker. Love you. Always here for you. Bless y'all on your journey with your beautiful baby girl. I'm praying for y'all!